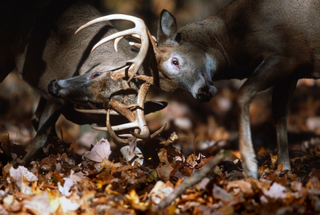 One issue that is not addressed for new hunters is the problem of your scent scaring away deer. I found a great solution to this problem. 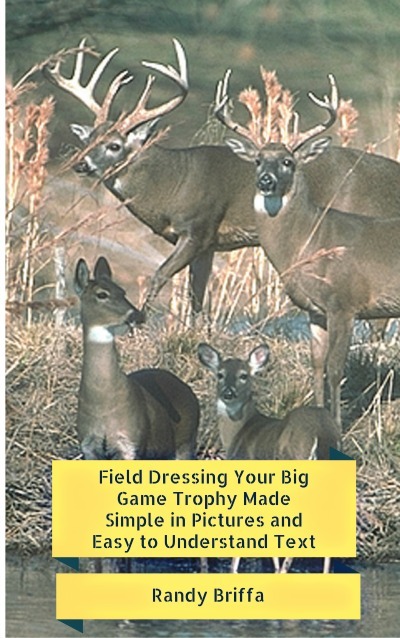 Be prepared to field dress your deer. This book is for all types of hunters. Beginning or expert you can learn from this easy to read and understand e-book. It is very important to do a though job to help preserve your meat. Beautiful color pictures make it easy to understand and do. Below is a sample picture from the book. The items below this book are a list of the tools we use and suggest you take into the field with you to do a great job. 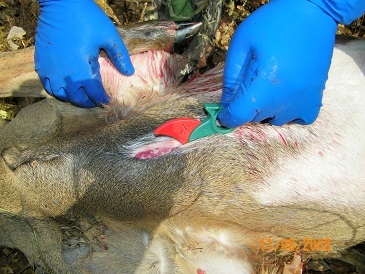 Starting the cut into your deer here. 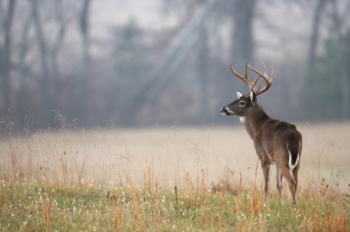 Trophy Whitetail Buck seems to be looking over his domain.